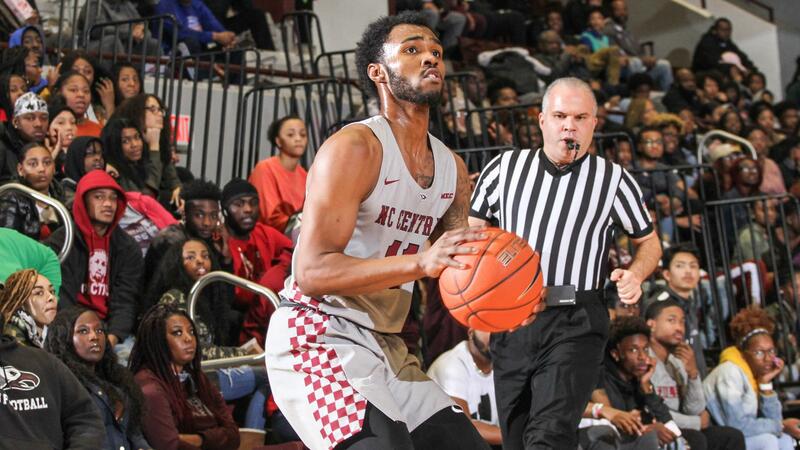 Scouting Report: NCCU is playing in its third straight NCAA tournament but ironically now all three have included playing in the First Four. The Eagles are also looking for their first win in the NCAA tournament having been ousted in Dayton by UC Davis and Texas Southern. NCCU also made it the tournament in 2014 but avoided the First Four that season as a #14 seed but lost to Iowa State. Coach LeVelle Moton, who took over in 2009 when the Eagles were just in their third season as a Division I program, has overseen each of the Eagles’ NCAA bids. This year, the Eagles finished third in the MEAC standings but found fire in that conference tournament. 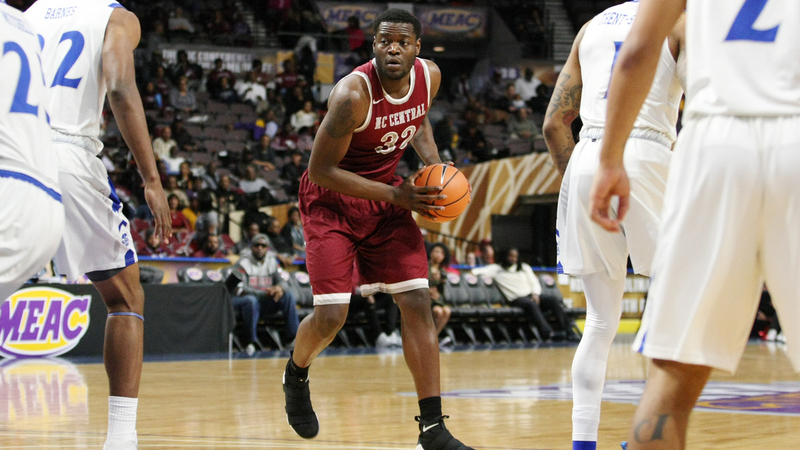 NCCU took down the top two seeded teams — Norfolk State and North Carolina A&T in the final two games by a combined five points to again earn the MEAC automatic bid. The Eagles on the season have averaged 72.2 points per game while shooting 45.6 percent from the field and 31.7 from three-point range during regular season play. NCCU played two teams that landed in this year’s NCAA tournament–a 22-point loss at Cincinnati and a nine-point defeat at Saint Louis. The best out-of-conference win likely was a neutral site win over the SWAC’s Southern (who finished with nine wins on the season). This will be second meeting between these two schools. NCCU visited NDSU in 2007 when both were transitioning from Division II to Division I. NDSU won the earlier meeting rather easily at 104-51. Key Player: Junior G Randy Miller, Jr. is one of three starters who transferred from other colleges over the course of their career. This game will be the first NCAA tournament experience for Miller. He has come up big this year as the second leading tea scorer after he sat out last season following his transfer from Mount St. Mary’s. Miller averaged 13.2 points and is the team’s top 3-point threat, sinking 63 treys at a 37.1 percent clip. Fantasy Player: Senior C Raasean Davis is averaging team highs of 14.6 points and 8.9 rebounds while shooting 64.5 percent and is a key low key threat. Last year, he had 19 points and 11 boards as team highs in the First Four game loss to Texas Southern and should put up similar numbers in this one. Scouting Report: This year’s Bison team was young with no seniors on the roster and as expected, they struggled to start the season and were just 2-7 after the first nine games. The Bison did improve as the season went on and won nine of its last 12 games and finished tied for third in the conference but were placed fourth in the seeding for the league’s tournament. 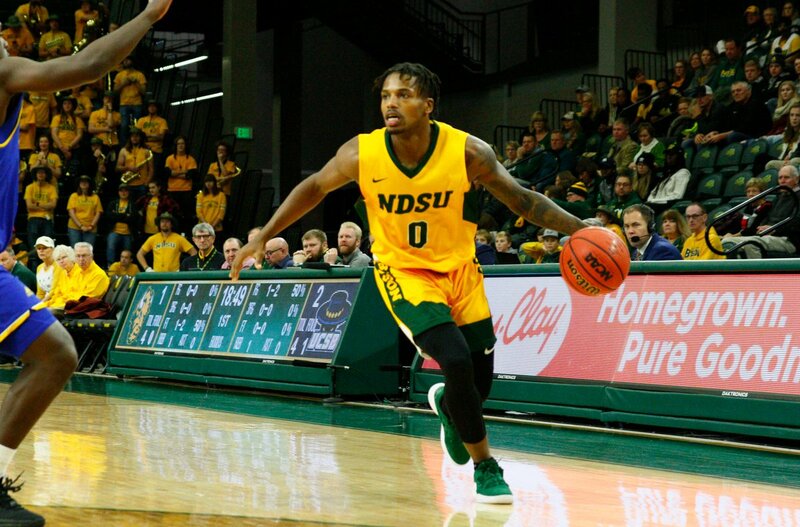 The Bison were helped in the Summit League tournament when regular season champion and rival South Dakota State went down in the quarterfinal round. NDSU would defeat the team that upset SDSU in Western Illinois after they took care of Oral Roberts in the first round and then took down Nebraska-Omaha in the conference championship. NDSU now has won four Summit League Tournament crowns in 11 seasons as a full member of the league — 2009, 2014, 2015 and 2019 with two under Richman. The Bison have averaged 72.7 points per game while shooting 45.1 percent from the field and 35.5 from three-point range. In fact, 10 players on the team have made at least 10 threes on the season. The key to the Bison most of the season has been the use of almost all of its bench where no player plays much more than half the game. The Bison are a bit more battle tested than NCCU as NDSU played eight non-conference opponents this season who finished in the top three of their league standings, including four regular season champions (New Mexico State, Gonzaga, Drake & Montana). The only win and best out-of-conference win, however, in this group came against Eastern Washington at home. Key Player: Junior G Vinnie Shahid has been the consistent star on a team that seemed to have a different star each game night. Shahid was the Summit League Newcomer of the Year after transferring in from Western Nebraska CC. He was NDSU’s leading scorer (12.8 ppg). He seemed to turn around the Bison fortunes in the regular season finale versus Purdue-Fort Wayne with a last second shot to get the team out of a three game losing streak and his leadership carried over especially in the championship game against Omaha where he scored 22 points with 20 of those points coming in the final 15 minutes. He was named the MVP of the Summit League Tournament for his efforts. Key Fantasy Player: Junior G Tyson Ward has been an up and down player this year after being named to the preseason All-Summit team. But when he puts his best effort into a game he can carry a team. He was second on the team with 12.3 ppg and was a key re-bounder. In fact, he was just one of two Summit League performer 6-foot-8 or under who averaged at least 7 rebounds per game in league play. Ward should come up big in this game and be a good fantasy play.